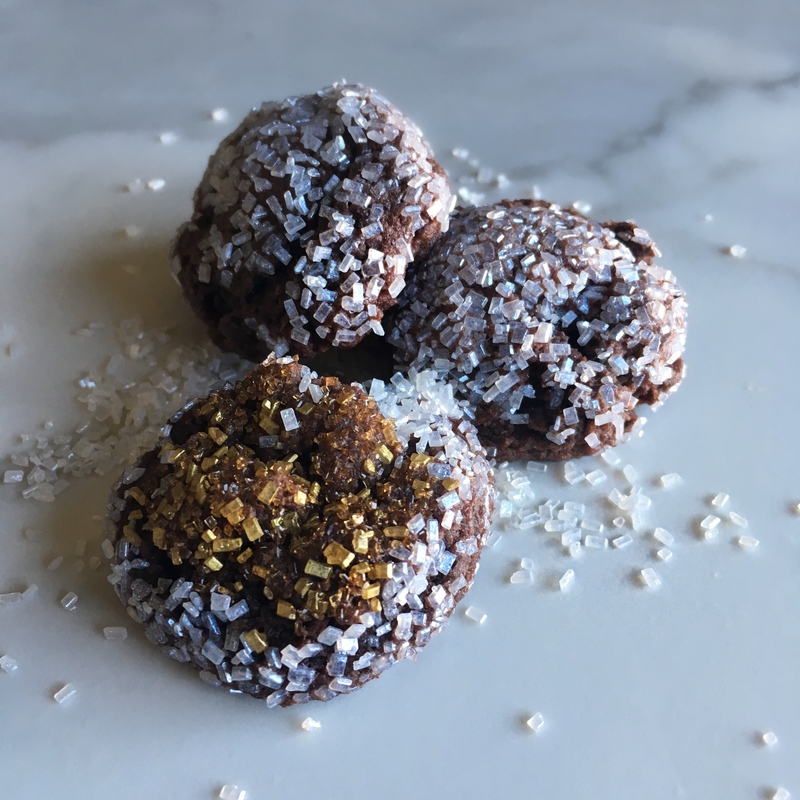 What screams the holidays more than a sugared-up cookie? I stumbled upon these cookies from my family recipe tin (see last week’s post Molasses cookies made simple and easy). 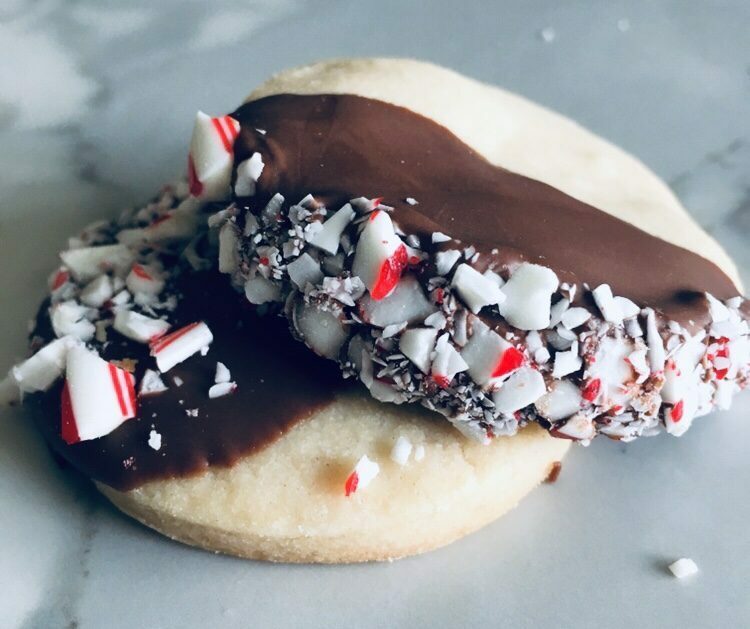 I really wanted to create fun and unique Christmas holiday cookies complete with Santa’s sleigh and an abominable snowman. After quickly realizing I was not going to find these shapes easily in any store around town I realized I could just make my own cut-outs! You can use this method for any shape and size you’d like. As a bonus, this recipe comes together perfectly to create gingerbread cookies that don’t spread out in the oven. All this takes is some Googling and scissor skills. When trying to recreate specific characters I find it best to search for your image by cartoon. For example, search for “cartoon Santa sleigh.” This way there are usually limited details in the image, but enough to capture what you need for shape, size and decoration. Once you find the image you want, print it out and cut out the shape. Place the printed cutout guide on top of rolled-out dough. With a paring knife carefully cut-out the dough around the shape of the paper guide. Once all of your desired shapes are done use a spatula to transfer them to a baking sheet lined with parchment paper. I kept my dough a little on the thicker side since I wanted these to have a nice snappy bite. Once baked-off to a perfectly crisp gingerbread, design and decorate to your heart’s content. Royal icing works perfectly to add color and artistic flare to the gingerbread. My royal icing piping skills could use some work but I find that it is very forgiving. 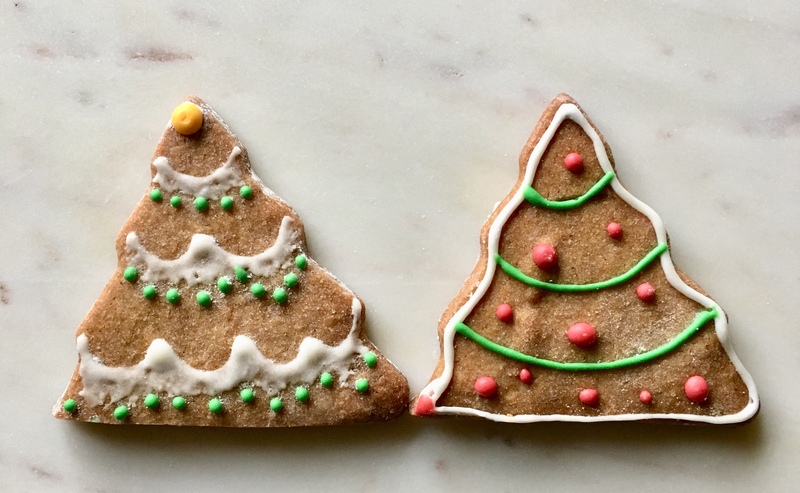 Tip: if you want your gingerbread to stand upright for a display or showstopper, use that same sharp paring knife to carefully cut a straight base to the cookie. I found this works best once they are baked since the edges soften as they are in the oven. 1 tsp each: cinnamon, cloves, ginger. If this recipe looks familiar you have a keen eye! This is the same recipe from my recent post Molasses cookies, but without the baking soda. Chill the dough and then roll it out on a floured surface. Use cookie cutters or cut your desired shape. Place cookies on a parchment lined cookie sheet. You don’t need to worry much how far apart to place these. Since there is no rising agent these will not spread very much. 350° for 10-12 minutes. For this display, my intention was to have all of the cookies free standing so I baked them off until they were well done but not burnt. For a softer cookie, stick to around 10 minutes!